Pop the champagne! 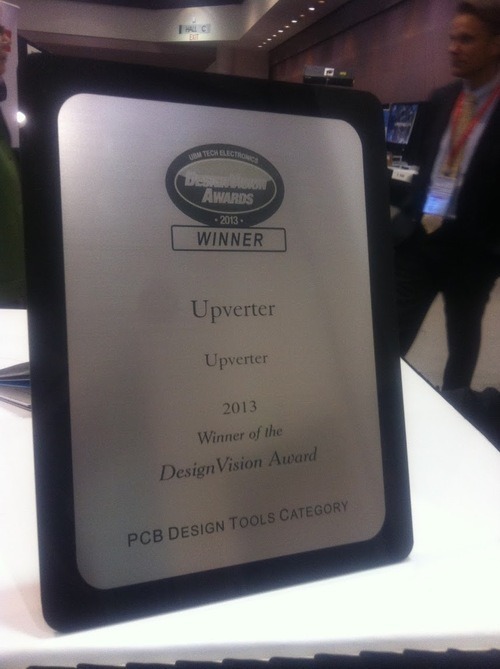 Upverter is the 2013 DesignVision Award winner for most innovative PCB design tool! The DesignVision Awards honor the most innovative design tools in the industry across 8 categories. These prestigious awards honor the most innovative design tools in the industry. If you’re at DesignCon , drop by booth 930 to check out the latest in collaborative ECAD, and the shiny DesignVision award. Previous Previous post: Y Combinator and Upverter are hosting a Hardware Hackathon!